Those heart wrenching photos of dogs sitting at their owner’s caskets tug at my emotions. I’d like to believe that my dogs would mourn my death, and not only because I feed them every day. It would be reassuring to think that the hours spent bonding with them are as meaningful to my dogs as they are to me. In fact, I’d like to assign them the same emotions that I perceive through my human lens. Unfortunately, the science on whether or not dogs grieve is inconclusive. 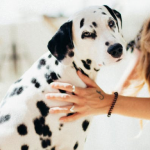 I’ll compromise and say that our pets mourn–just a little differently. Mammals share many of the same hormones as their human counterparts–oxytocin being one of them. Oxytocin is responsible for love, attachment, and bonding in humans. Scientists have been studying the release of hormones in animals. Like humans, varying levels of hormones are released in animals depending on their situation. 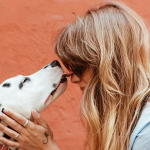 Let’s explore the emotions of one of our favorite pets–dogs. Infants’ and toddlers’ brains are less developed than human adult brains. 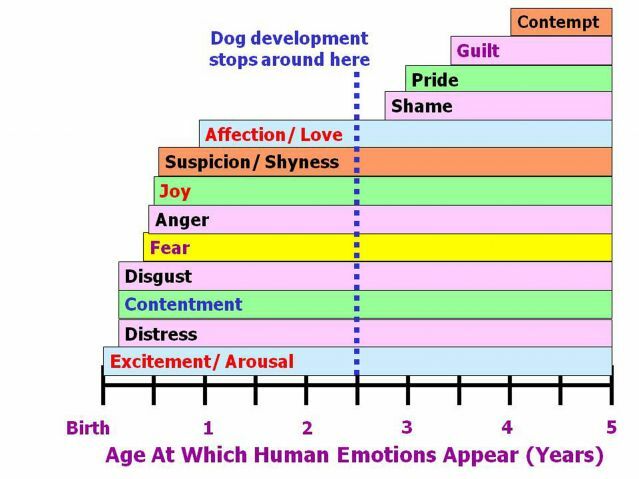 These young humans are unable to fully process a wide range of emotions. 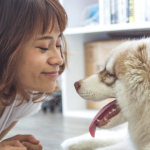 Since researchers believe a dog is equivalent in age to a 2 to 2 ½ year old child, dogs would logically process death in the same way as a toddler. Children under 5 years old don’t understand the permanence of death, but they can perceive the energy in the home and feel sadness or depression. Young children may repeatedly question when their loved one is coming back. The same may apply for man’s best friend. Dogs that won’t leave a casket or wait in the same location day after day for their owner’s return don’t understand that death is not temporary. 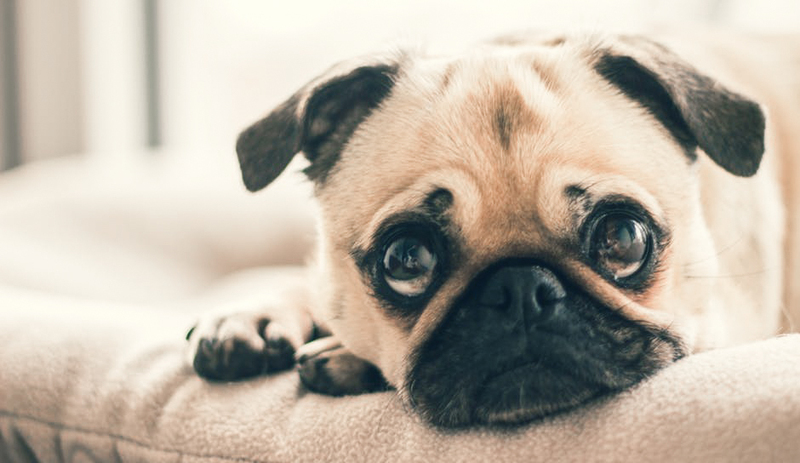 Your pet may exhibit signs of depression or loneliness; however, behavioral scientists believe this is different from the grief that human adults experience. Even if dogs do not grieve in the same way as humans, I’ve always trusted that pets are here to teach us significant life lessons. I believe that dogs are the ultimate optimists. Because they do not understand the permanence of death, dogs who wait for their owner’s return are hopeful that their loved one will one day walk back into their lives. Dogs also exhibit tremendous resiliency. That is why shelter dogs can quickly adjust to life with a new owner. I choose to believe that dogs teach us both hope and resiliency in the face of loss. Hope that we, too, will see our loved ones again some day, and the resiliency to never lose hope that we will eventually recover from traumatic events and once again find joy.